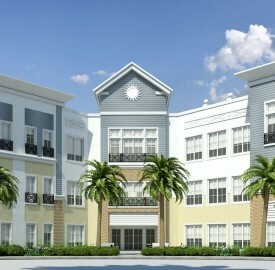 CBRE is pre-leasing office space at University Professional Center, a 63,600-square-foot office development under construction at 1248 North University Drive in Plantation. The new 3-story property is scheduled for delivery in Q2 2019 and will be the first office building in Plantation built in the last 10 years. CBRE’s Scott Brenner, Owen Sagar and Deborah Fink are handling leasing efforts at the property on behalf of ownership, Plantation Professional Plaza. The 3-story building offers office space that can be custom designed to tenant specifications. The suites will be individually metered for electric and HVAC use, offering tenants flexible operating hours. The overall parking capacity is 4.6 spaces per 1,000 square feet of leased space, which allows tenants the option to build an increased density floorplan. University Professional Center is located in the City of Plantation in Broward County, with a population of more than 430,000 within a 5-mile radius. The property enjoys direct access to I-595, as well as Florida’s Turnpike, The City of Plantation is 15 minutes from Downtown Fort Lauderdale and the Brightline/Virgin Trains USA station, Fort Lauderdale-Hollywood International Airport, I-95, and Port Everglades. Approximately 2,600 multi-family and townhomes are currently under construction or approved throughout the City. The “top off” and ribbon-cutting ceremonies will take place in early and late summer 2019, respectively.